Cobb - first found is Suffolk, the Cobb family held a seat found in the Domesday Book. Cobb may also have Anglo-Saxon origins. 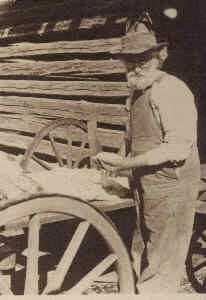 David Cobb was born about 1820 in North Carolina. He married Harritt C. Gossett (1825) and the couple had eight children: Nancy (1843), Robert Richard (1846), Abner (1848), Martha (1852), Harriet (1856), David (1859), Mary (1859), and Julia (1864). He died in 1887 in South Carolina. David Cobb's name is recorded as being part of the Hampton Legion, and he enlisted in 1861.1 According to the 1860 and 1880 census records, David Cobb was a farmer. Robert Richard Cobb was born in 1846 in South Carolina. By 1900 he was residing in Marshall, Alabama. He married Sarah J. Griffith (1847). They had four children: James William (1869), Rebecca Elizabeth (1872), Maudie Ann (1879), Minnie (1881). Although Robert and Sarah spent the early part of their married life in South Carolina, they came to reside in Marshall County, Alabama with their children. In South Carolina, according to the 1880 Census, Robert was a farmer. In 1900, according to the census taken that year, he was a Marshall County resident. He was still farming to make his living. James was born in Austin, Greenville, South Carolina in 1869 to Robert Richard and Sarah. In 1890 he married Mary Ella Mariah Riddle. Mary Riddle was the daughter of Richard and Julia Cox Riddle. According to his grandson, James Radford Cobb (the son of Robert and Martha Cobb - see below), James and Mary lived beyond the cemetery and on top of a hill - close to the Cobb grandchildren. Radford remembered running through the cemetery and up to his grandparents house. His grandparents had adopted one of their grandchildren, James. James and Radford were of an age, and often played together. Radford said that his grandmother, Mary, would be sitting on the front porch. He would run up and ask her "Grandma, Grandma, where's James?" She would nearly always reply, "He's around he somewhere." James Cobb lived for a time with his son Robert and daughter-in-law Martha Cobb before his death in 1954. Robert Richard Cobb was born in 1901 in Marshall County, Alabama. He married Martha Ella King (1909). They had four children: Doris O'Neal (1927), James (1929), David Logan (1935), and Mary Anne (1946). Granddaughter Kathleen recalled hearing that her grandparents met at a baseball game. She said that her grandmother, Martha, told her that she thought that Robert Cobb was very handsome playing baseball. 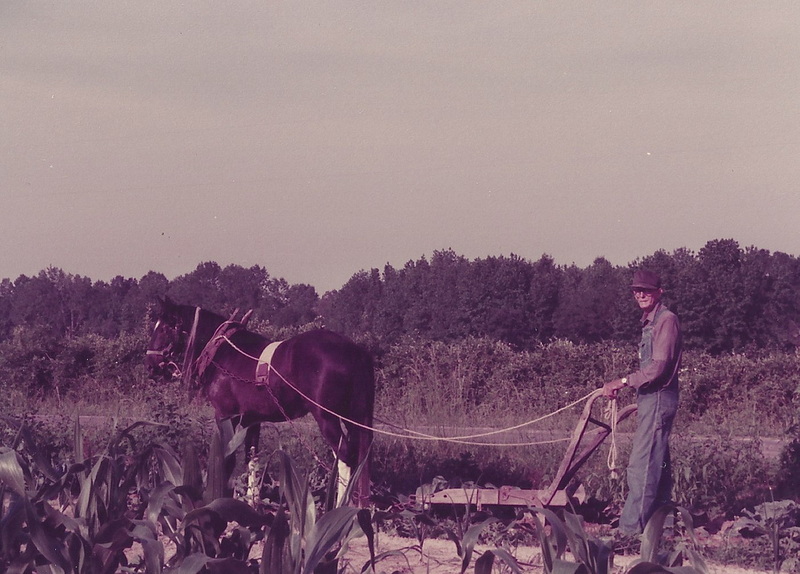 He farmed for a living, owning several mules and providing for his family with livestock and harvests. His daughter, Doris, said that she was never aware of the Great Depression because the family always had what it needed. He died in 1988. Doris O'Neal was the first child of Robert and Martha Cobb. She grew up outside of Arab, Marshall, Alabama. She attended Grassy Elementary and Snead Junior College and Alabama Polytechnic (later Auburn University). (fig. 5) Doris Cobb. 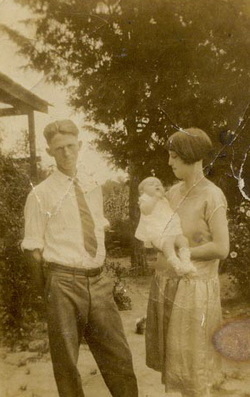 My maternal grandmother Doris "Dot" Cobb White and her parents Robert and Martha in 1927. In 1949, Doris married Ivan White. They met at Eglin Air Force Base in Okaloosa, Escambia, Florida. She was a school teacher on the base. Her aunt, Mozelle Cobb, picked the wedding suit from her store in Scottsboro, Alabama. Her uncle, Lawrence Cobb, walked her down the isle. Ivan and Doris had five children: Glenn Allan (1950), Unnamed Infant (1951), Cynthia Dale (1952), Patrick O'Neal (1954), and Kathleen Susan (1957). The White family moved around the United States due to Ivan's military career. They lived in Houston, Texas; Albany, Georgia; and San Angelo, Texas - to name a few places. Ivan's career also took them to Berlin, Germany in the early 1960s. Doris "Dot" Cobb White died in 2010. Fig. 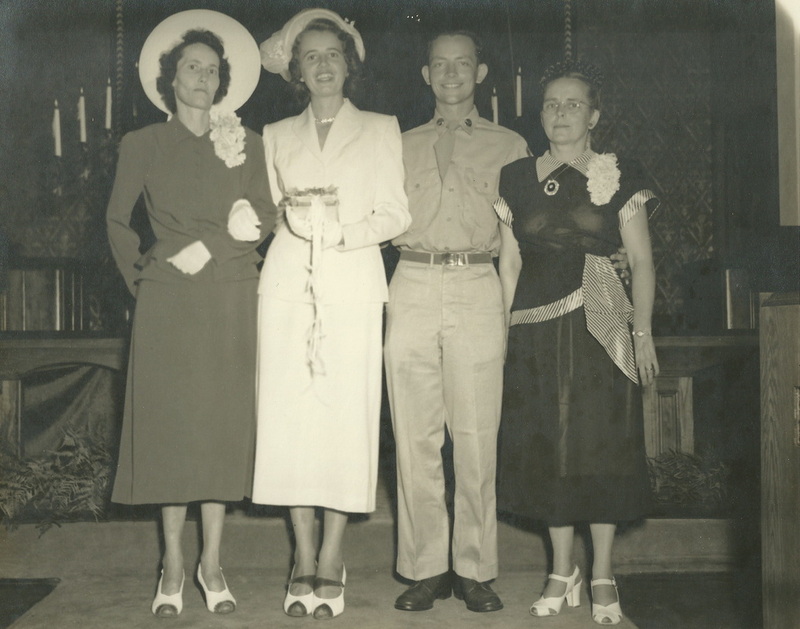 4 - "Cobb Family" - contributed by Heather Wylie. Information about the picture contributed by Joe Cottle. Cobb Family & Relatives: 1909 (Arab, Alabama). The picture contains the following: First Row - Craton Cobb, Sue Cobb [Pigman], Robert Cox, Willie Gus Cox, Nettie Cox [Gober] (with head turned), Roy Green, Clatus Green, Bill Green (with dress on), Curtis Green, Lawrence Cobb, Robert Thompson, Gladys Thompson, Lizzie Cobb [Jones], and Robert Cobb. 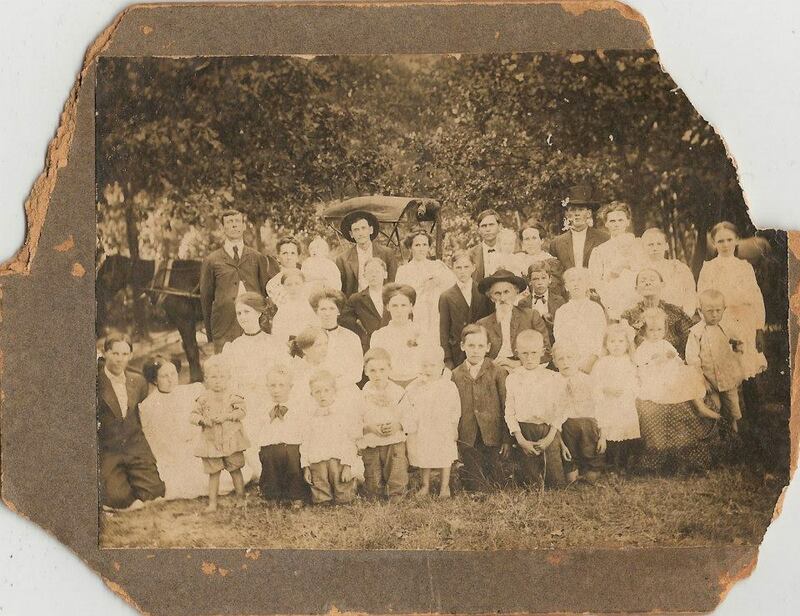 Second Row - Pearl Cox [Bohannon], Ella Cox, Elmer (Elma) Cobb [Deerman and Cornelius], Robert Cobb (Great Grandfather with beard and hat on), Jewell Thompson [Reynolds and Ivy], and Sarah Jane Cobb (Great Grandmother - holding Lizzie in her lap). Fourth Row: William Thomas Decatur "Dock" Cox, Rebecca "Becky" Cobb Cox (holding Mary Cox), Hamilton "Ham" Green (with hat on and the surrey behind him), Maude "Moodie" Green (holding Lionel Green), John Thompson (Arad Thompson's son - [Arad Thompson is who Arab, Alabama is named after]), Florence Cobb Thompson (holding Kate Thompson [Kilpatrick]), James William "Bill" Alexander Polk Cobb (with hat on), Mary Ella Mariah Riddle Cobb (holding daughter Julia "Julie" Cobb [Tidmore], Beulah Cobb, and Lillian Cobb [Wright]. 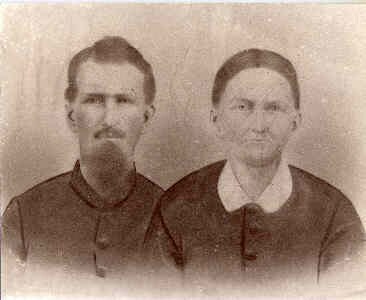 * Robert Cobb and wife, Sarah Cobb, immigrated to Marshall County, Alabama from Greenville, South Carolina in a covered wagon in 1882 to homestead much of what is now Arab, and played a large part in the founding and development of Arab. 1. Ancestry.com U.S., Confederate Soldiers Compiled Service Records, 1861-1865 [database online]. Provo, UT, USA: Ancestry.com.